Gardens are bursting with beautiful blooms in the south during late spring and early summer. The warm and sunny conditions make May the perfect time for plants to be in full bloom and alive with color. Sun-loving plants thrive this time of year. South Carolina gardens are ablaze with color in May. Hollyhocks grow beautifully in South Carolina. They are tall, striking plants with medium-sized flowers that range in color from shades of pink and purple to white. 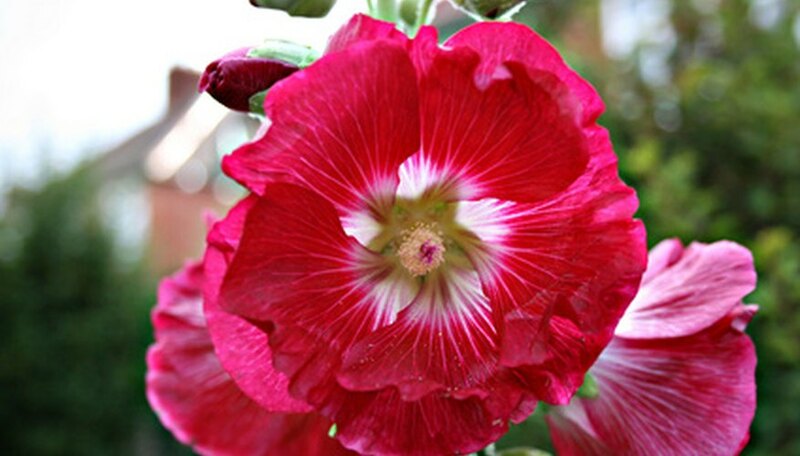 Not to be confused with mallow, a similar-looking, shorter relative, hollyhocks are quite tall and can grow to be several feet high. Plant these flowers in a bright, sunny location and water three times weekly to keep the soil moist. After blooming has finished for the year, just cut down the flower stalks and sprinkle the seeds to reseed for next year. Impatiens add a burst of color to your landscape. Although commonly planted as annuals, they are actually tender perennials. This means that they come back every year on their own, without the help of the gardener. They grow and develop well without any pinching or pruning. Plant them in your flower bed, pots, or as a border plant. This plant is in full bloom during the month of May and grows in a range of colors including shades of pink, orange and salmon. Plant them in a spot that receives sun in the morning and then shade for the rest of the day. Be sure to mulch around them; mulch holds in moisture and keeps the soil nice and damp. Give them a good drink of water once a day and these beautiful flowers will bloom consistently right up to the first frost. This plant is over 10,000 species strong. Sometimes referred to as “the royalty of the garden,” North American varieties of azalea are deciduous plants that grow in a rainbow of colors including shades of purple, pink, red, orange and yellow. Some varieties even bloom with strikes or specks of color intermixed on the petals. Petal shapes can vary from narrow to rounded or triangular, with edges that are ruffled, flat or wavy. These hardy perennials are easy to grow and maintain. Plant them in a shady spot and place mulch around them to keep the soil consistently moist. Azaleas grow well when planted under oak or pine trees because they love the acidic soil that these trees provide. Give your azaleas a deep soaking of water once a week.